Everybody hates hipsters, the pretentious jerks who pretend to care about the environment and only like stuff no one's ever heard of. But everybody loves superheroes, who dedicate their power and resources to fighting evil. 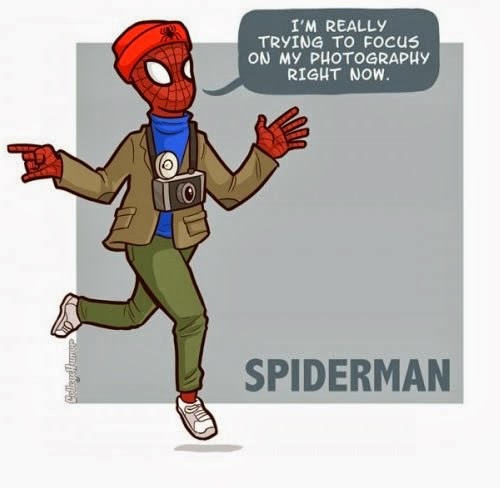 So what happens when superheroes become hipsters? Collegehumor has the answer with these cartoons. The Hulk one is good! I like the Iron Man one. I wonder how his armor would hold up. Or: When kissing your brother just doesn't cut it anymore. Here's a different one: Watch out C-3PO. You're next! I'm having fun with this. Here's a third one. Keep calm: Han Solo arranged it. These are great. They're also major changes. Maybe hipsters shouldn't be superheroes.